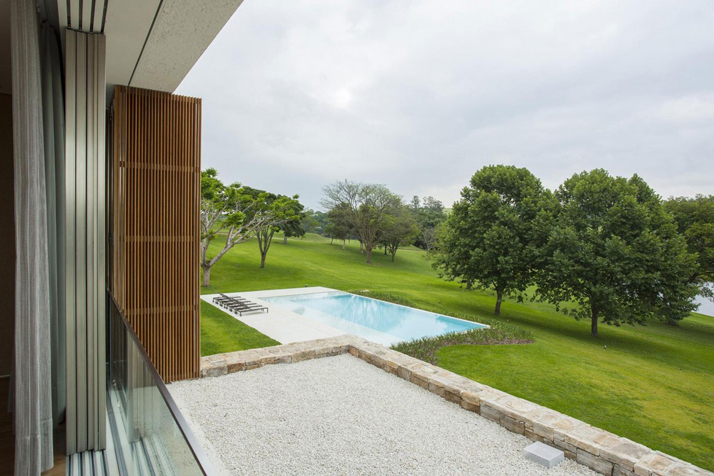 The house designed by the team is a composition of cubes and facades designed to fit the topography and appreciate the textures and materials. 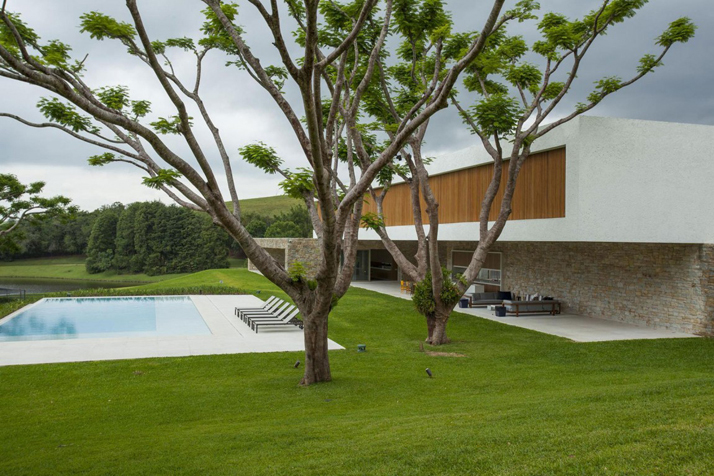 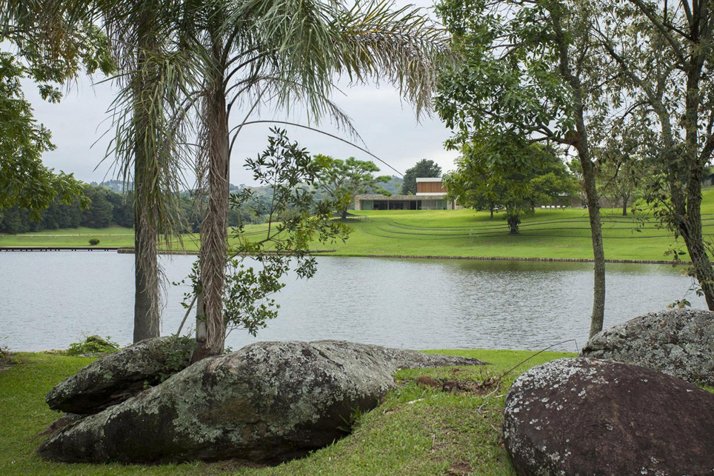 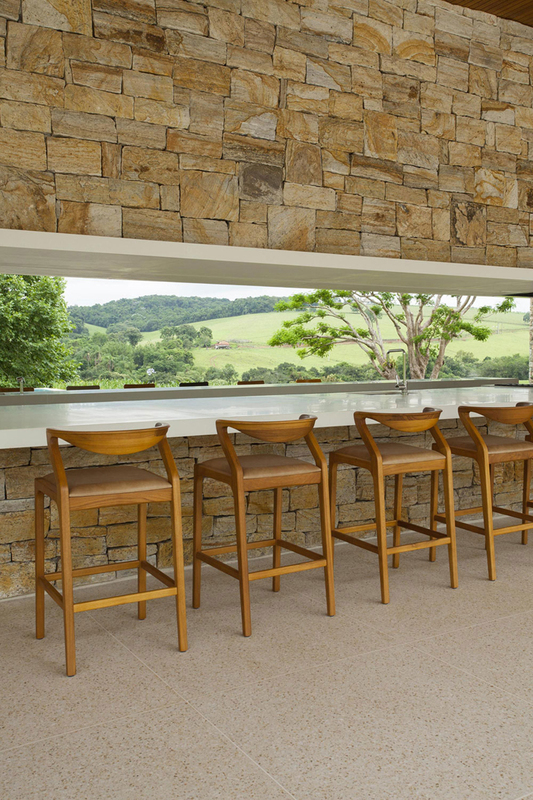 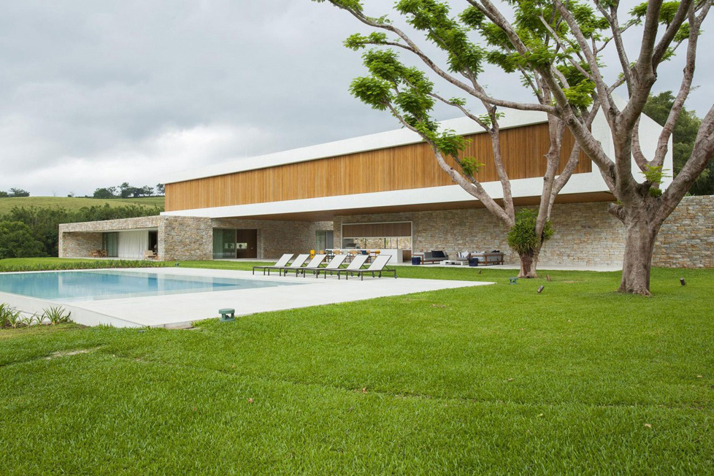 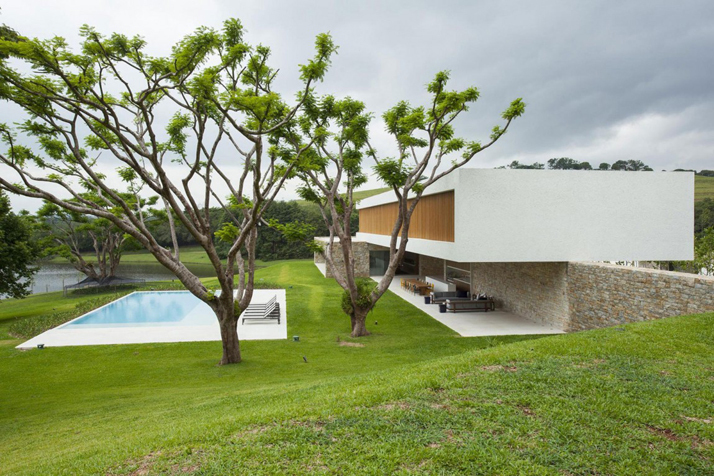 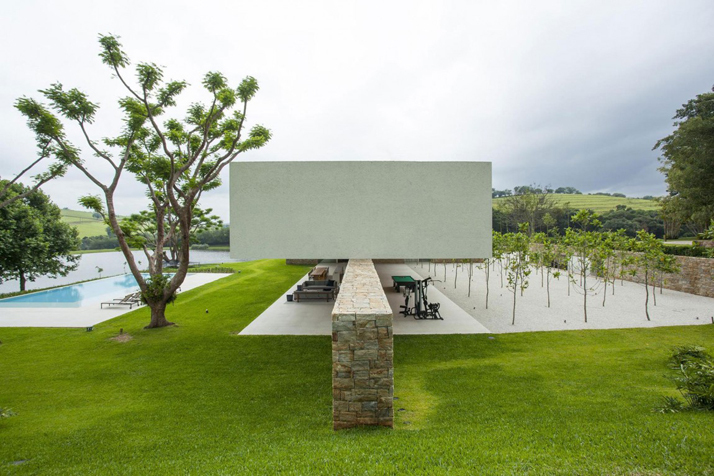 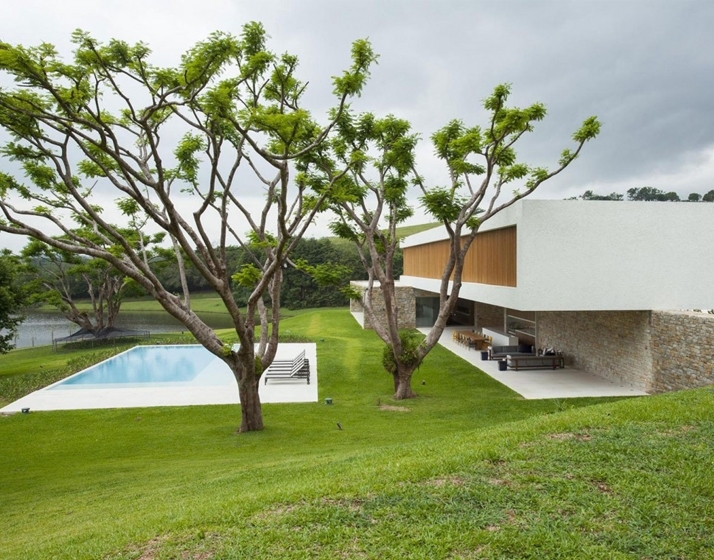 The project is in a site near Sao Paulo, a former Alpine-style house with beautiful landscaping around a large lake created by the owners over 20 years. 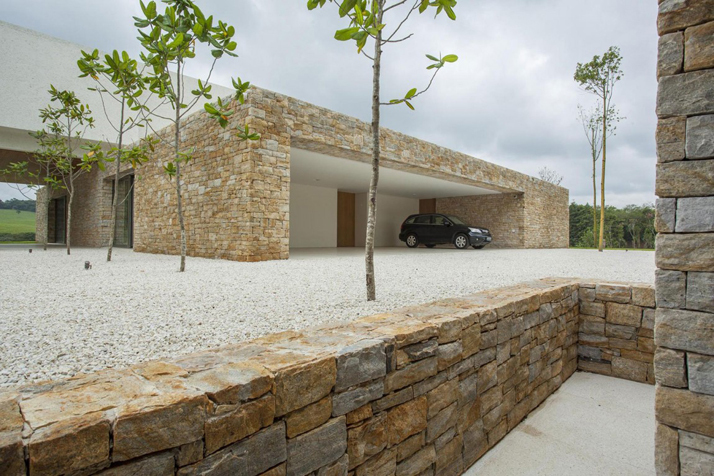 The proposal was to address three generations of the family, so the alpine style was replaced by the contemporary. 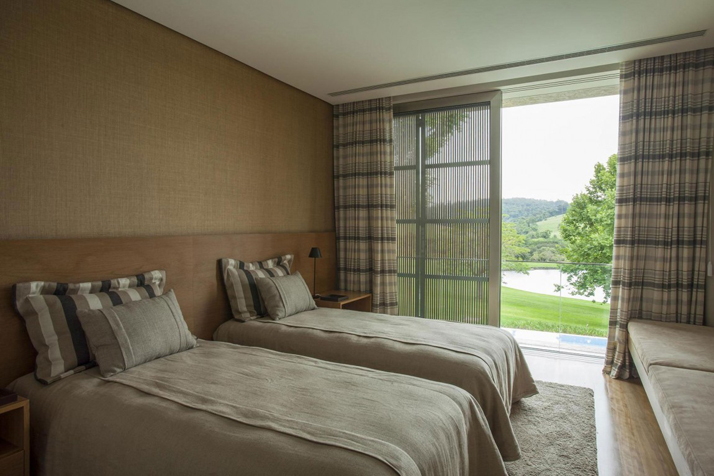 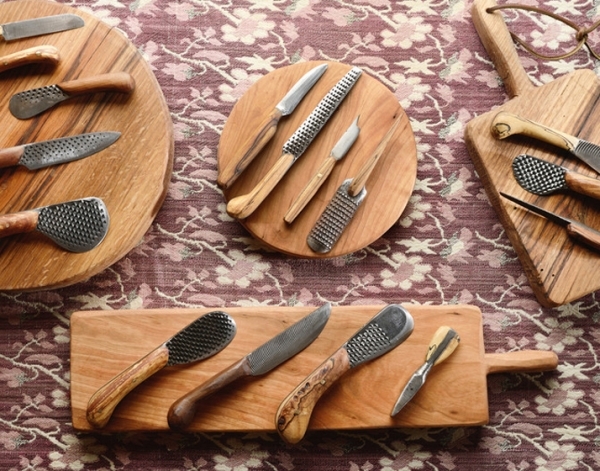 Extremely bold, but very practical, the lifestyle of the family brings a typical weekend in search of a safe haven. 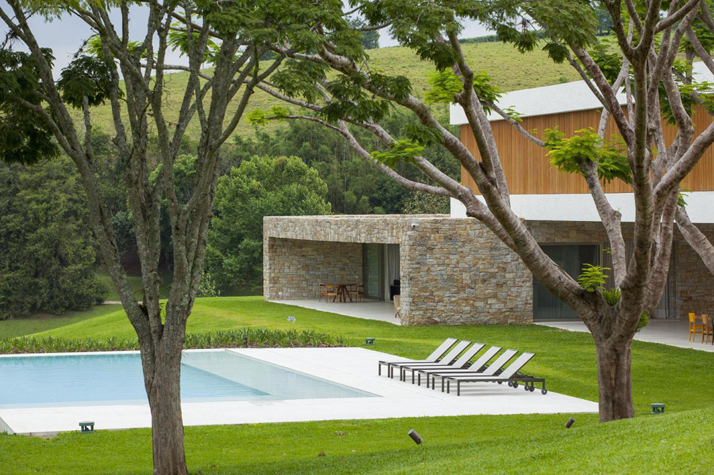 The project gathers the union between the typical landscape with the construction, the understanding of the local topography, views, prevailing winds and sunlight. 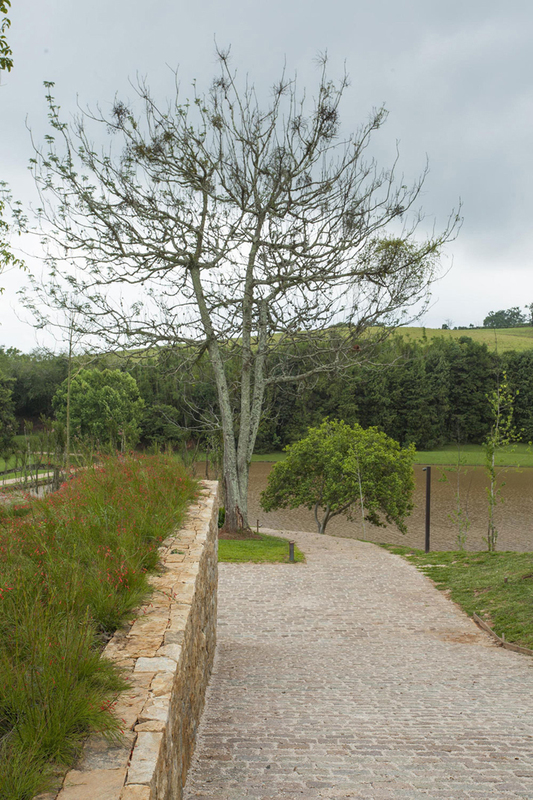 Existing slopes with the natural landscape of the lake were the main conditions of this proposal. 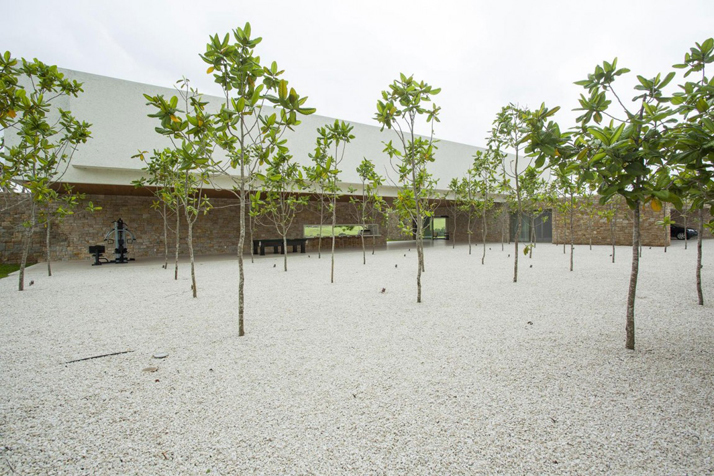 It is as if this project was developed in front of a deserted beach with all rooms enjoying the outside view. 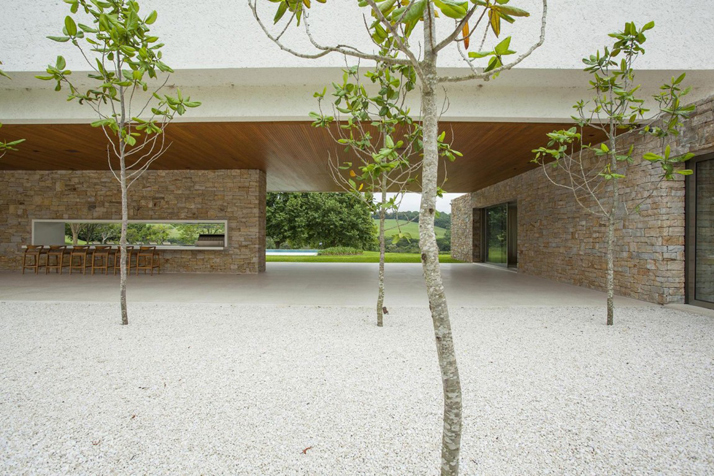 The siting then comes as a huge pavilion that cuts the existing plateau, the upper volume consists of a large minimalist rectangle that is a balance between a cubic volume of stones. 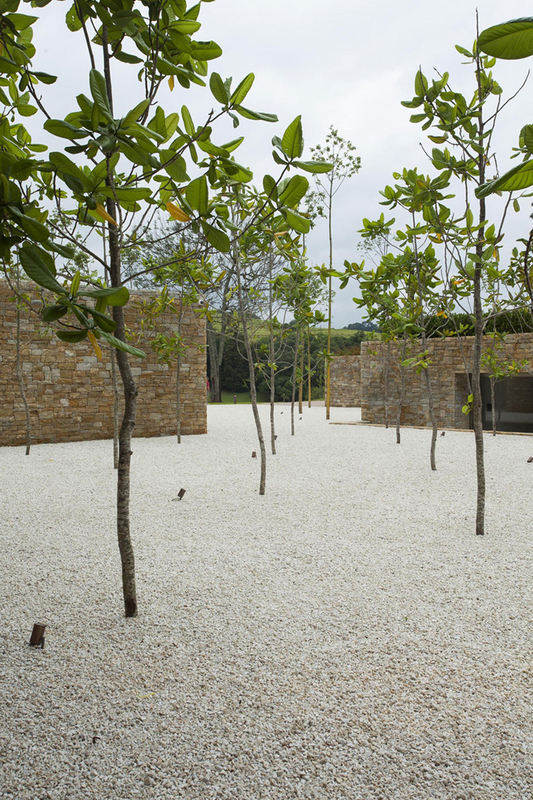 To give continuity to the external views in front of the residence, we laid out trees rigidly on a geometric grid. 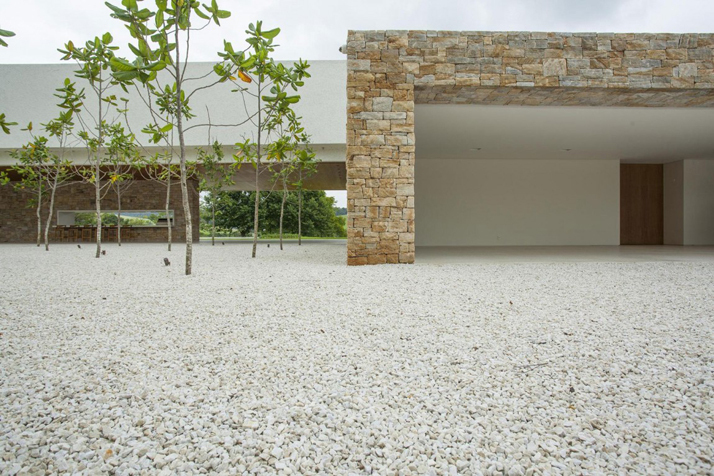 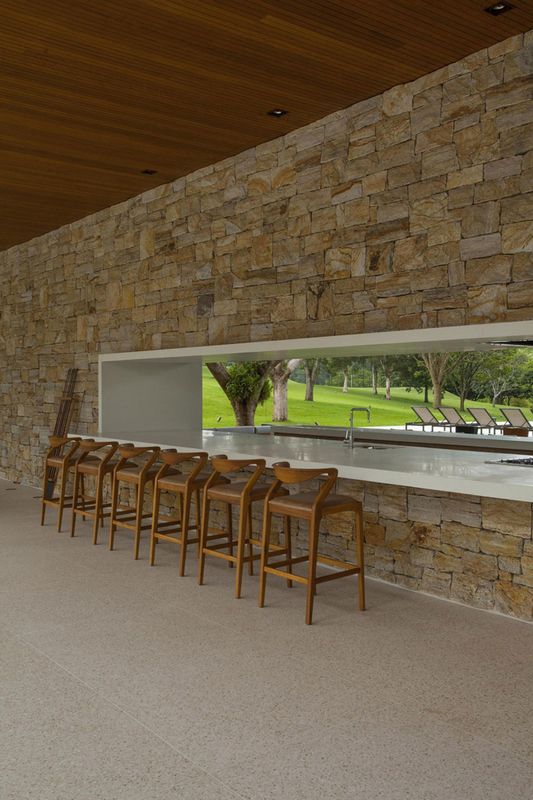 The light-colored floor is formed by stones in the same shade as the stone of the residence. 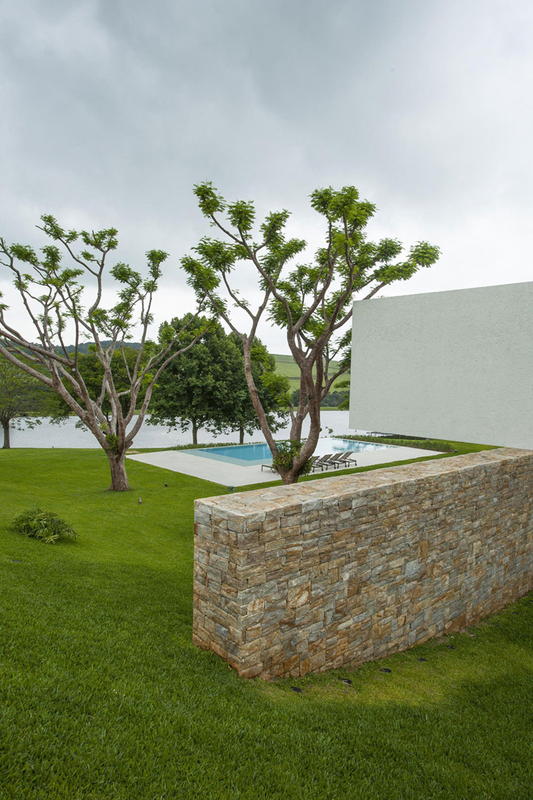 The ladscape by Renata Tilli worked very well in the proposal and appropriated the existing species.The ladscape by Renata Tilli worked very well in the proposal and appropriated the existing species. 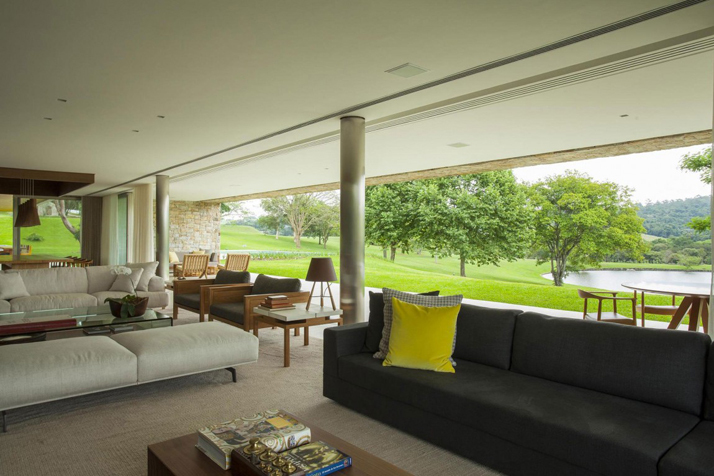 The interior design integrates landscape, building, interiors and decoration. 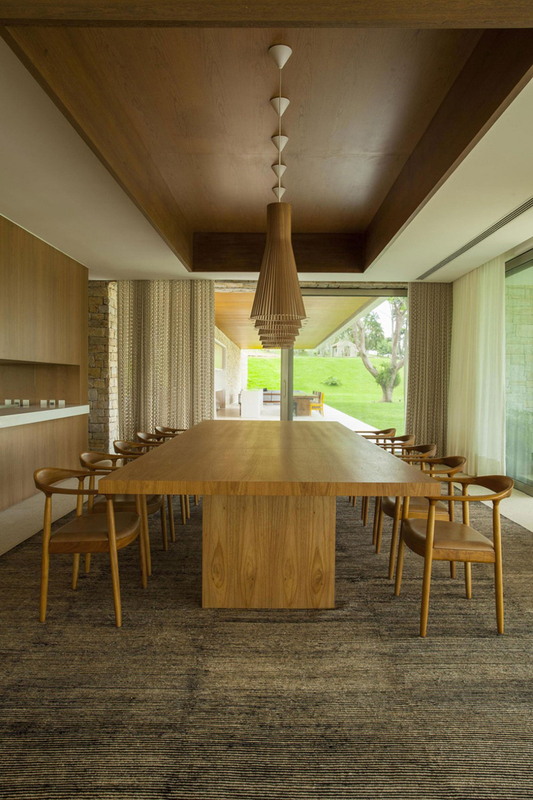 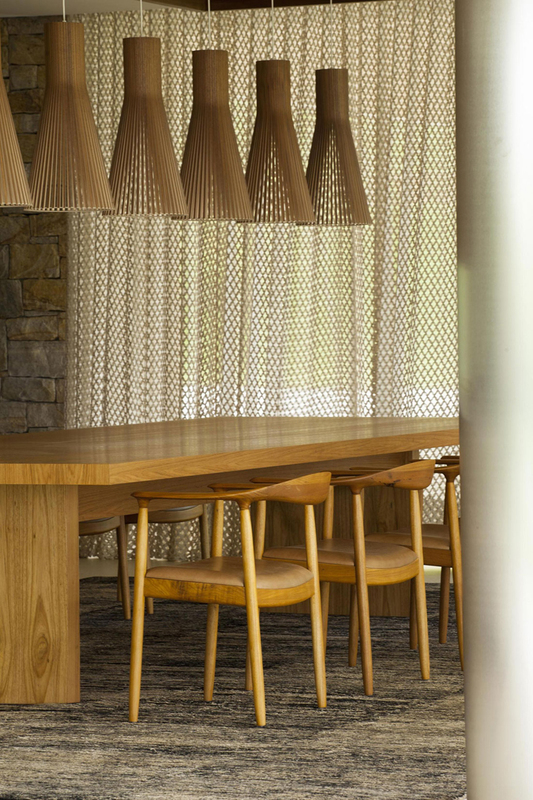 Woodwork designs, benches and lighting were designed in three dimensions for each of the projects.